It's all about expiration dates. The $29 billion-a-year food waste problem has a surprising new enemy: Walmart. The mega-chain announced this week that it will standardize its expiration date labels. The hope is to clear up confusion that results in perfectly good food being tossed. Walmart's private food label, Great Value, will now carry a standard date label, utilizing "Best if used by" for all non-perishable items, according to The Guardian. The company has given its suppliers until the end of next month to make the label switch, but according to Frank Yiannas, the vice president of food safety for Walmart, 70 percent of suppliers have already complied with the new policy. According to Yiannas, the chain's attention was first drawn to the label issue following the release of a 2013 report by The Harvard Food Law and Policy Clinic and the Natural Resources Defense Coucil titled "The Dating Came: How Confused Food Date Labels Lead to Food Waste in America." Yiannis and his team worked with the Institute of Food Technologists, Grocery Manufacturers Association, and the Food Marketing Institute to craft a report on the waste repercussions of confusing label terminology. Walmart also surveyed its own suppliers and found that its products used 47 different varieties of date labels. The retail company aims to reduce this label confusion by cutting down on the convoluted sea of "use by," "sell by," and "best by" labels. 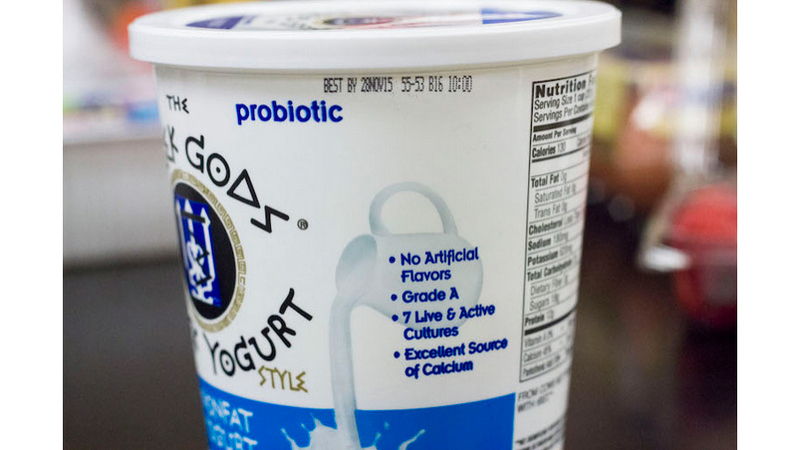 Yiannas and team surveyed customers on what phrasing would indicate a decline in quality but not a food safety risk, and the overwhelming winner was "best if used by." In addition to changing its labels over to this phrase, the company also created a 30-second video to be shown at checkout counters that explains the new label and gives tips on reducing food waste. In just one month, the video has racked up 10 million views. Though recently Congress has been working on a way to regulate expiration date labeling, currently there is no federal policy for the labeling of food, often leaving consumers confused and food discarded. Walmart hopes its size and influence could help set a precedent that will help America move towards a more waste-free future. Still, some call for an elimination of labels altogether. "American Wasteland" author Jonathan Bloom applauds Walmart's first step towards eliminating the food waste issue, but argues that "People see a date on a package and they don't want to eat anything after that date," adding that "a better solution would be making it so consumers don't even see a date label." The author says that regardless of the label terminology, many consumers will read a date as a distinct cut-off for consumption. According to Bloom, perhaps the best expiration label is no label at all.